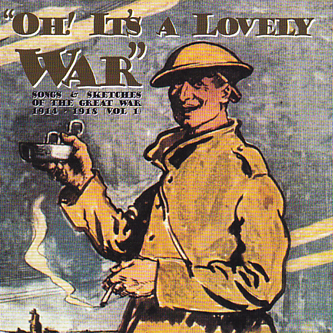 The revelatory, consistently brilliant CD41 label started life with this first volume of popular wartime songs, captured on recordings made between 1914 and 1918. The source material has been culled from original 78rpm records and wax cylinders, all sympathetically restored and digitally remastered. Forces favourites like 'Goodbye-ee' and 'Oh! 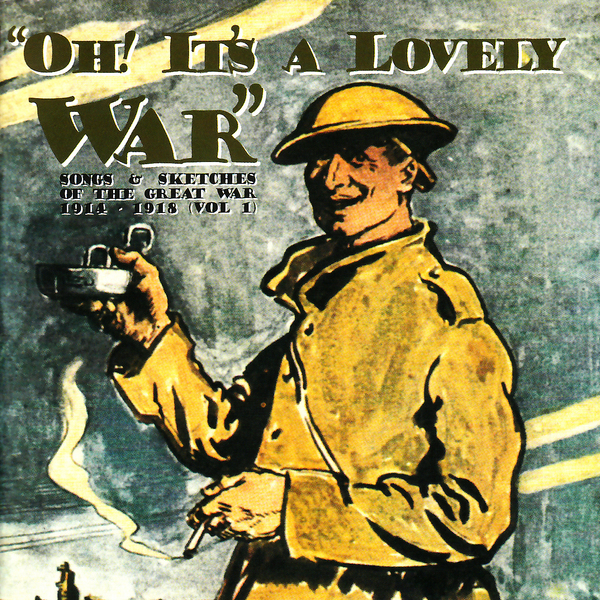 It's A Lovely War' itself line-up alongside comedy sketches of the Arthur Atkinson "where's me washboard?" calibre, which in addition to being 'hilarious', present a satirical glimpse of news stories and characters from the era. For example, 'Tommy's Fags' and 'Er Bloke, V.C.' which give a comic slant on the heroic exploits of Sergeant Edward Dwyer - events that are more accurately and sympathetically chonicled by the man's own fascinating monolgues; Dwyer was awarded the Victoria Cross in 1915 - the year of his recordings here - only to be killed in action the following year, aged just 21. A unique blend of music, reportage, sketches and actuality recordings from an era when recording technology was far less pervasive and easily usable, this disc is a truly remarkable collection of auditory museum pieces.